WASHINGTON — The U.S. House of Representatives voted on Friday to defund the abortion giant Planned Parenthood for one year and reallocate the funds previously granted to the organization to women’s health groups. H.R. 3134, the “Defund Planned Parenthood Act of 2015,” was passed 241-187—mainly across party lines. Only two Democrats voted in favor of the bill while three Republicans voted against it. The legislation would redistribute $235 million to an estimated 13, 500 health centers that qualify under federal laws. The bill is meant to yank funding while Congress investigates Planned Parenthood’s alleged harvesting and sale of the organs of aborted children. “This legislation enacts a one year moratorium on all federal money to Planned Parenthood. It does not reduce women’s health funding by a single dime. Instead, this legislation reallocates funding to the more than 13,500 facilities nationwide that provide true preventive care to those who need it most and do not perform abortions,” explained Rep. Diane Black, R-TN, prior to the vote. A second bill was also passed, H.R. 3504, the “Born-Alive Abortion Survivors Protection Act,” which attaches criminal penalties to any abortionist who ends the life of an infant who survives an abortion. Those who spoke in favor of the legislation noted the practices of Philadelphia’s Kermit Gosnell, now serving life behind bars, who allegedly snipped the spines of children born alive to hasten their death. “Any infant born alive after an abortion or within a hospital, clinic, or other facility has the same claim to the protection of the law that would arise for any newborn, or for any person who comes to a hospital, clinic, or other facility for screening and treatment or otherwise becomes a patient within its care,” it reads. Both bills will now make their way to the Senate, where a vote is also expected on Tuesday regarding a House-passed 20-week abortion ban. Barack Obama has vowed to veto both the Defund Planned Parenthood Act of 2015 and the Born-Alive Abortion Survivors Protection Act should they reach his desk. “Planned Parenthood uses both federal and non-federal funds to provide a range of important preventive care and health services, including health screenings, vaccinations, and check-ups to millions of men and women who visit their health centers annually,” the White House said in a statement on Thursday. As previously reported, Planned Parenthood’s annual report released in January of this year showed that the organization’s largest focus is sexually transmitted diseases (STD’s), as it tested and/or treated over 4 million people for sexual ailments in 2013—the latest year available. Second in line to STD’s is the provision of contraception, which includes the performance of over 800 sterilization procedures on women and over 4,100 vasectomy operations on men in 2013–making them infertile for life. And while Planned Parenthood asserts that abortion is only three percent of its services, its report shows that it performed 327,653 abortions nationwide during the 2013-2014 fiscal year, up from 327,166 the year prior. The figure equates to 174 abortions for every adoption referral. Although the organization provides physical breast exams for women, which some women are instructed by their doctors to perform at home, it does not offer mammograms as the group is not licensed to do so. 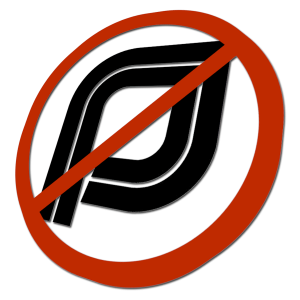 Planned Parenthood also provides no post-natal care for women who keep their children.